Fruits are literally a blessing of GOD. They carry many essential diet nutrients for us which really help our entire body and metabolism in many ways. At times I feel like I need nothing else but just some juicy fresh fruits. Almost every one of us likes fruits for sure. Especially the ones who are very health conscious. I remember at granny’s there were some vintage traditional food storage baskets. 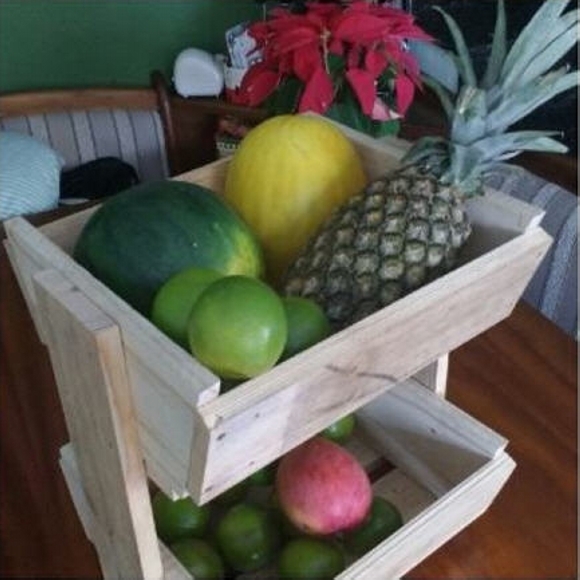 But how would it sound if we talk about making some fruit storage with wooden pallets? This really is a superb idea man. these fruit storage carriers or stands are just going to stand tall in the appearance. Time is gone when we used to run outside for every wooden installation. We used to spend hundreds of dollars on each house hold accessory. Infact my life has been transformed since I have started the upcycling of wooden pallet. I just make my own plans and work a little bit on feasibilities and start working on them. Many of my house hold furniture items are recycled with the wooden pallet at my own. Pallet recycling gives me a sort of pleasure and also it saves me a lot of bucks too. So here we go for the fruit storage with wooden pallets. 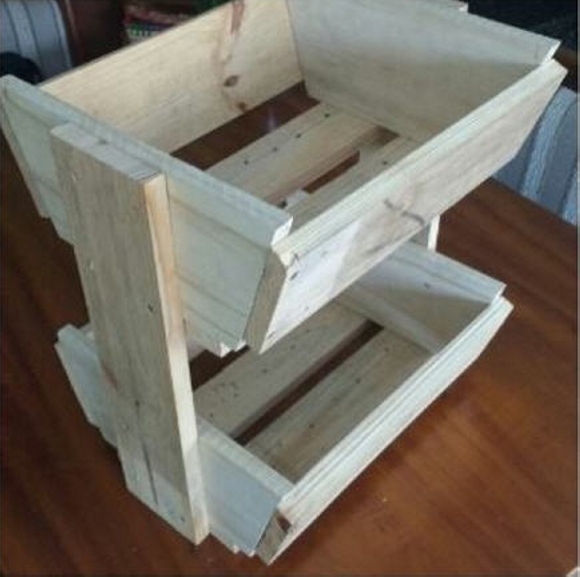 This is a three tiered multi purposed wooden pallet stand or rack that could be used to store fruits. It has three basket like tiers which are pretty spacious. And multiple tiers certainly mean that you can store a number of different fruits at the same time in this fruit storage stand. Its fresh rustic color would give it a new style and loud appearance. Use it to store greater quantities of fruits. 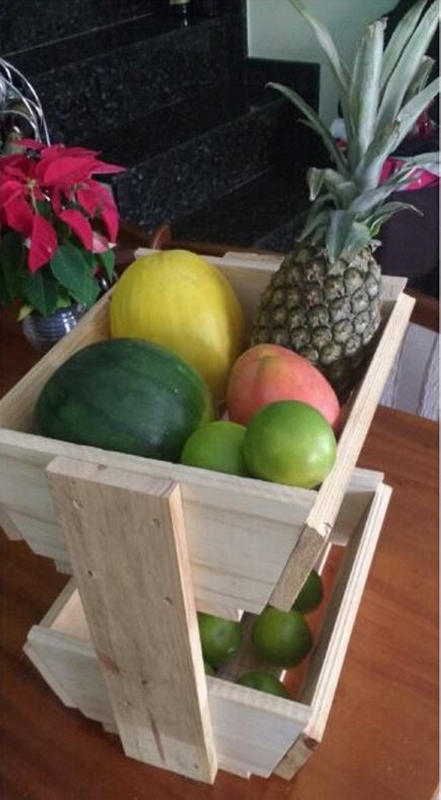 Ever since I saw this one, I planned to make this one fruit storage for my own house.